Rodriguez Cleaning Services Your Professional Window Cleaning Company Louisville, KY.
Are your windows dirty? You don’t have time to clean your windows. Do you have a blurry film on your windows? You haven’t clean your windows in several years. You can’t reack those high windows. You may not have a tall ladder or don’t want to use a ladder because it is risky and if you have an accident you will be out of work for few weeks. Those are some of the most common issues that we take care for you. Call Rodriguez Cleaning Services for a deep and professional window cleaning service in Louisville KY at 502-365-6779. First of all we want our professional window cleaning services in Louisville, KY present in your home or office. We strive to avoid inconvenience to you at every step. Our window cleaning services was created to provide care for the needs of busy homeowners and professionals in Louisville. In addition, we provide skilled services with consistent quality and a smile. We want you to know, that we value what you value. A high level of integrity is our advantage. Your satisfaction will certainly be our concern, as we aim to make our service stand out. We know that there are a lot of window cleaners to choose from, but we appreciate your notice and we are determined to prove that you make the right choice when choose us. Windows are portals to the outside world, inviting nature into your home and bringing in sunlight and fresh air. When kept clean, windows add tasteful elegance to your home, creating a pleasant and hospitable atmosphere. Rodriguez Cleaning Services focuses on top quality performance with commercial and residential window cleaning in Louisville, KY.
We provide a courteous and conscientious team of professionals that promise to keep your windows sparkling on a regular basis. You’ll be the pride of your neighborhood with clean, streak-free windows that shimmer in the sun! With this high-quality service, you don’t even have to break a sweat! Welcome To Our Professional Window Cleaning Service in our beautiful city of Louisville, KY.
Our Company takes yearly training and study all the safety regulation to ensure that we do not hurt our self, and also to ensure your safety and the right care for your home. Our Technicians will show up on time, wearing our company uniform with name tags. They are fully back ground checked. Your Windows will be clean by hands to ensure that we touch and clean those little details that you as a homeowner wants done. It does matter how small or big, easy or difficult we always be there for you.We do your interior and exterior windows or we can clean only your exteriors. Rodriguez Cleaning Services can handle all of your professional window cleaning Louisville needs! We take our training and business very seriously and your satisfaction is our ultimate goal. With us your satisfaction is guaranteed and back it up with our 100% money back guaranteed. If you are not satisfied you do pay. Whether at home or your workplace, you can rest assured that your windows will be cleaned by a insured and bonded professional window cleaner. No Risk when you hire us. When you choose Rodriguez Cleaning Services, you don’t have to worry about those hard-to-reach upstairs windows, you don’t need to be on a 30 feet ladder to get your windows clean. You don’t need to worry about any damage on your roof, gutters, or garden. 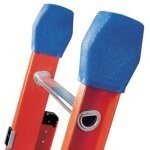 Our ladders comes with rubber supports on the feet and also at the ends. Not damage on floors or walls you will see why we are highly recommended in Louisville and its surrounding areas. 100% Satisfaction Guarantee: We go above and beyond your expectation to make you happy. Your satisfaction is our goal. Guaranteed Pricing: Your price will always be the same price that we gave you on our quote , you will never get an unpleasant bill that you weren’t aware of. Clean environment: We don’t make any mess in your home. We always wear shoe cover inside your home. Respect: We are homeowners too. Will take care of your of your home like we do with ours. Please contact us for consultation and an estimate with no obligation. Rodriguez Cleaning Services had cleaned some carpets for a friend of mine and they raved about what a good job they did. They also clean windows, so I had them clean all the outside windows on my house, which has about twice as many windows as most houses. They quoted a price and scheduled a time. They showed up on time to the minute, and did an outstanding job on the windows. They even took a little longer than estimated in order to do a good job, and did not charge any extra. It is great to have a contractor show up on time and stick with the quoted price. Highly recommended.